Looking for a stable ride? The Go-Go LX 3-Wheel mobility scooter from Pride Mobility provides enhanced stability and a great deal more. Feather Touch™ assembly and disassembly, scuff-free, flat-free tires and a mounted seat post are just a few of the benefits you could come to appreciate with the customizable Go-Go LX. 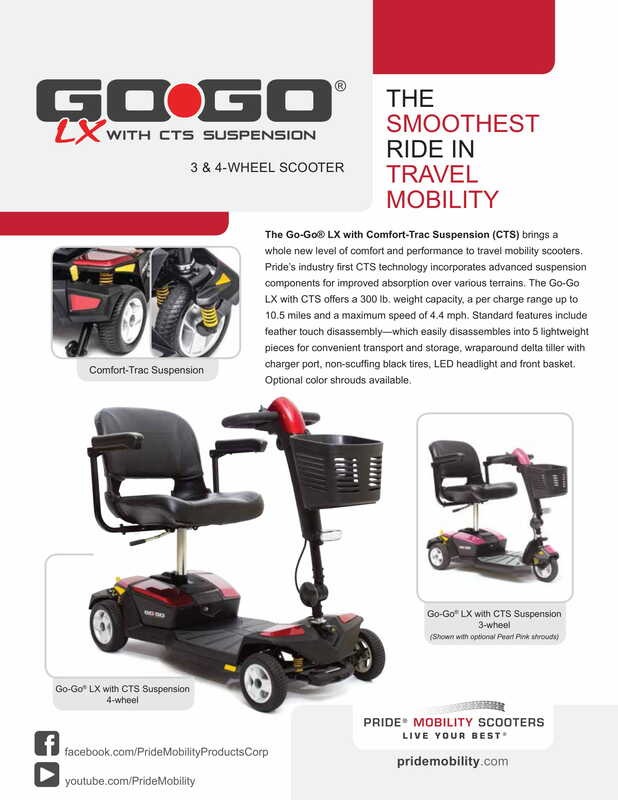 You may not have ever felt as smooth of a ride as you will with the Go-Go LX. 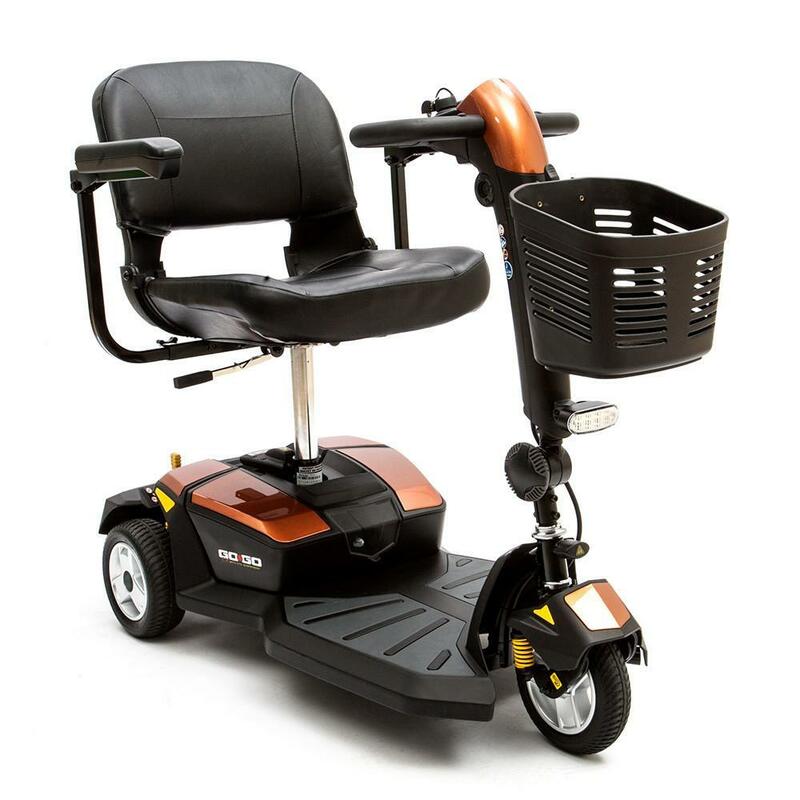 Pride Mobility’s Comfort-Trac Suspension creates the stable operation, allowing you to get around with more ease than with other mobility scooters. You will especially appreciate the Comfort-Trac Suspension springs if you are a rider who makes a lot of stops and starts as part of your busy lifestyle. Another feature that active individuals will love is the ease of portability that the Go-Go LX offers. 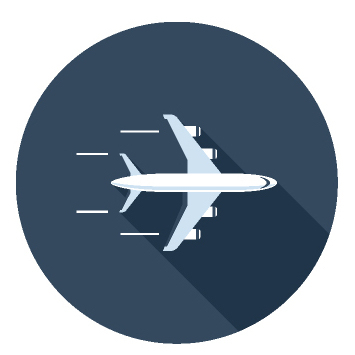 Best of all, travel with your chair has never been easier. 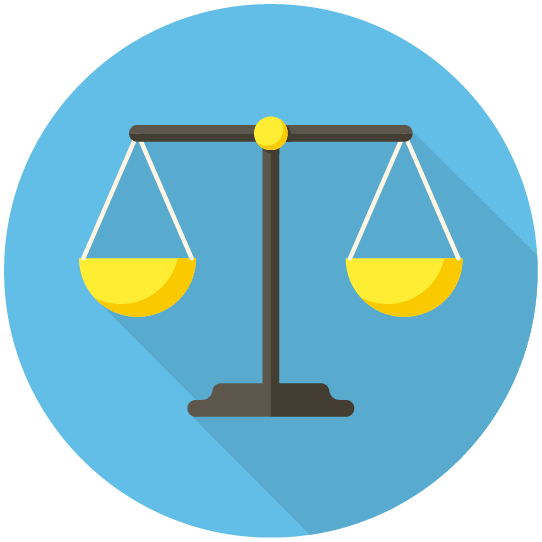 The largest piece weighs 34 pounds when unassembled. Add the fun optional color schemes to the mix, and you will see that the Go-Go LX 3-wheel scooter is the equipment of choice for riders with a flair for personal expression and an active take on life. 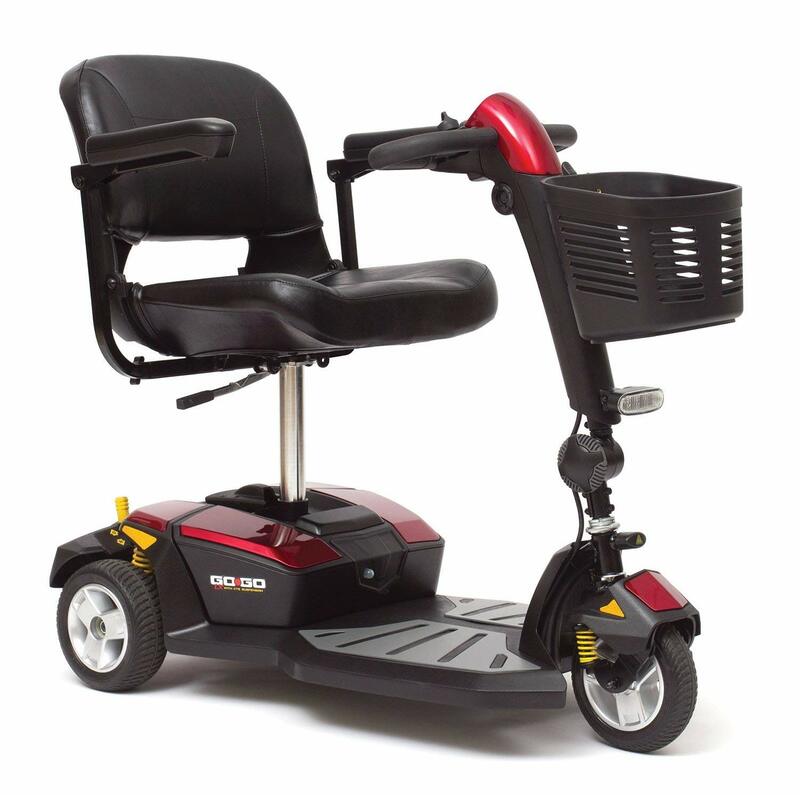 The GoGo LX Scooter from Pride Mobility is a high-performance, travel-ready mobility machine. Its feather-touch disassembly allows the user to separate the frame with one hand, while its front-frame-mounted seat provides maximum stability. Whether convenience, price, or performance is your primary concern, it's hard to beat this sleek three-wheel scooter. 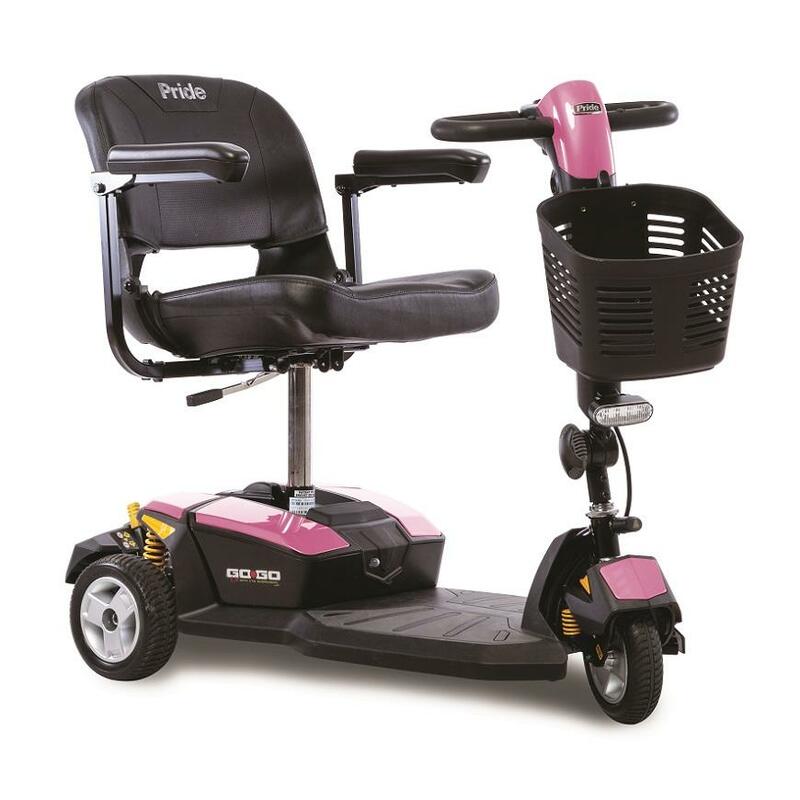 Pride Mobility: Go-Go LX 3-Wheel has a rating of 5.0 stars based on 6 reviews. Why Pride: Go-Go LX 3 Scooter?